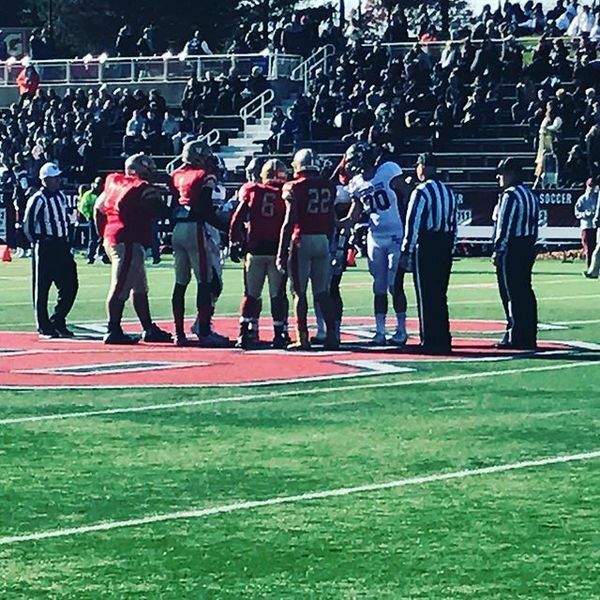 Follow along for live coverage from the Class II Long Island Championship between Nassau champion Garden City and Suffolk champ Half Hollow Hills West on Sunday, Nov. 27, 2016 at Stony Brook University's LaValle Stadium. 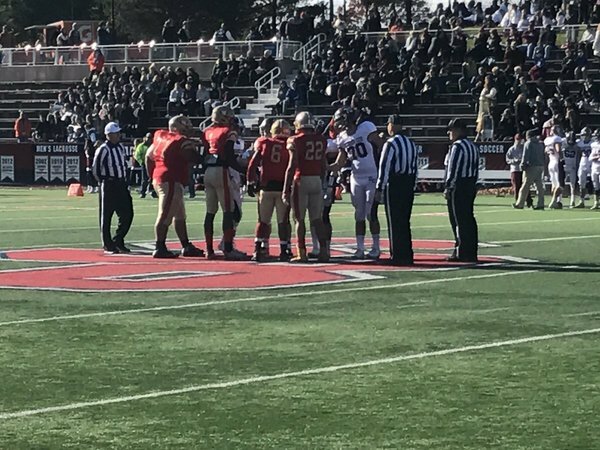 The Long Island Class II football championship between Half Hollow Hills West (9-2) and Garden City (11-0) set to kick off at noon. And we are underway. Hills West has the ball on its own 28. Hills West calls a timeout on 4th-and-5 from Garden City's 35. Hills West turns it over on downs. 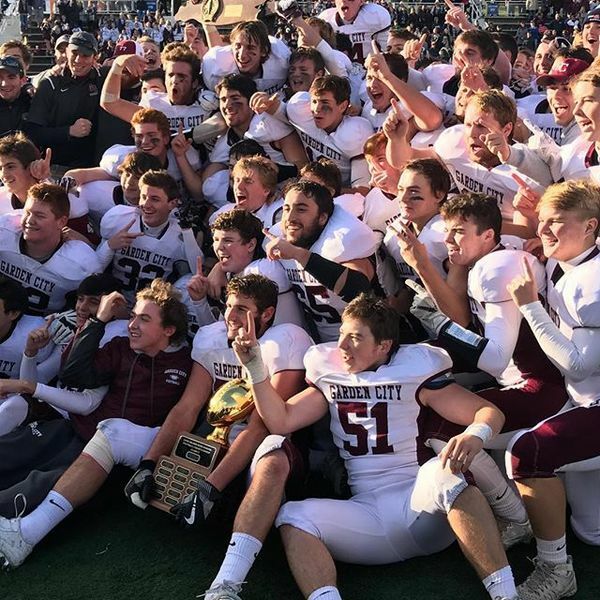 Garden City takes over on its own 34. 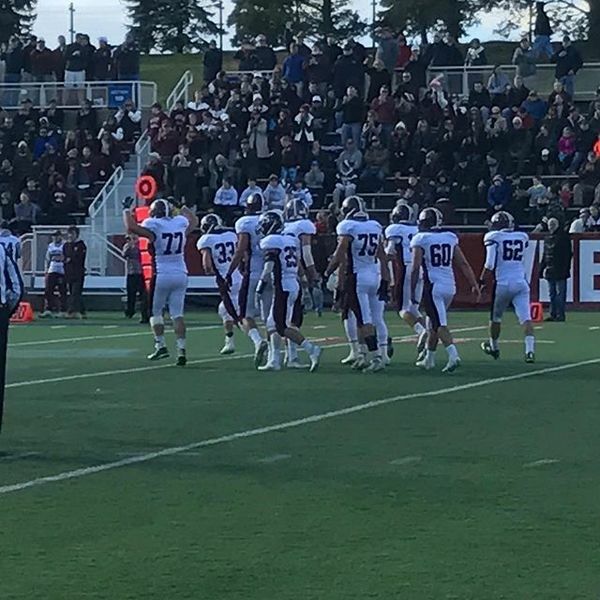 25-yard field goal from Billy Rousakis gives GC a 3-0 lead. 9 plays, 58 yards. 3:46 left in the first. Garden City picks up a fumbled handoff. Andrew DeSantis on the recovery. Trojans start from Hills West's 14. END of 1Q: 3-0, Garden City. But Rousakis is in position for another FG attempt after the break. Rousakis' 2nd field goal of the first half is good from 26 yards. 7-play, 5-yard drive in 3:39. More plays than yardage. 6-0, Garden City. Now Garden City coughs it up. Jimmy Regateiro picks it up. Hills West starts from GC's 31. Now Hills West turns it over on downs. This is ... fun. GC starts from its own 31. Quick kick on 3rd-and-31 by Garden City, putting Hills West at its own 19. Field position and specials team dominating the LIC. ...and a Hills West punt. GC starts from its own 42 with 2:57 left in the half. END of 2Q: 6-0, Garden City. Offenses have struggled. Defense and special teams have prevailed. Hopefully a change after the break. Garden City set to receive the opening kickoff of the second half. Let's see if schemes change. Struggles weren't just execution. Time of possession: GC, 16:07. Hills West, 7:53. Total yards: GC, 84. Hills West, 34. Garden City will start the second half from its own 41-yard line. First TD of the game comes with 9:07 left in the 3Q. GC's Chris Mixon runs through the pile for 2 yards. 13-0 after the PAT. 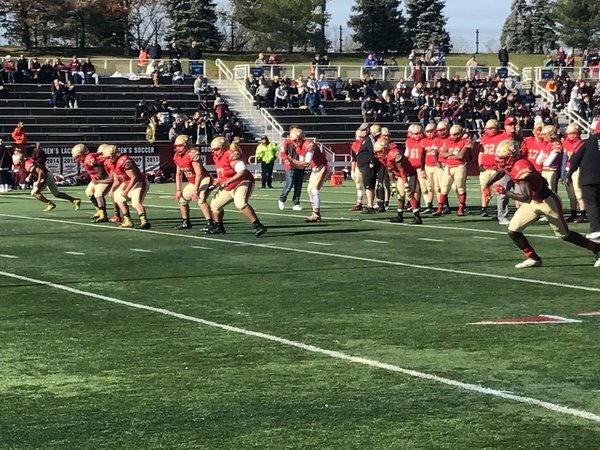 Hills West sacked on back-to-back plays. It's now 4th-and-22 from the Colts' 23. They'll punt again. Maybe that's Hills West's turning point. Jeff Terry picks off Jack Bill and returns the ball all the way to GC's 16. 42-yard return. Andrew DeSantis has been a stud for GC. Creating constant pressure in the backfield. Hills West turns the ball on downs and now has -4 yards rushing in the GAME. Still 13-0, GC. END of 3Q: Garden City 13, Hills West 0. GC has the ball, 1st-and-10, from its own 17. 7:52 left in the game. Hills West starts from its own 31. Hills West on Garden City's 11 with 7:01 remaining, trying to make this a game. Cam Jordan starting to get more involved. Gerald Filardi 11 yards to Cam Jordan in double coverage. Perfect fade to the back corner. PAT blocked. 13-6, GC. Garden City punts to Hills West. Illegal block in the back brings the Colts to their 17. 4:48 remaining. 13-6. Trevor Yeboah-Kodie with what should be the game-ending INT for Garden City. And let the celebrations begin. Garden City defeated Half Hollow Hills West, 13-6, to win the Class II Long Island championship.